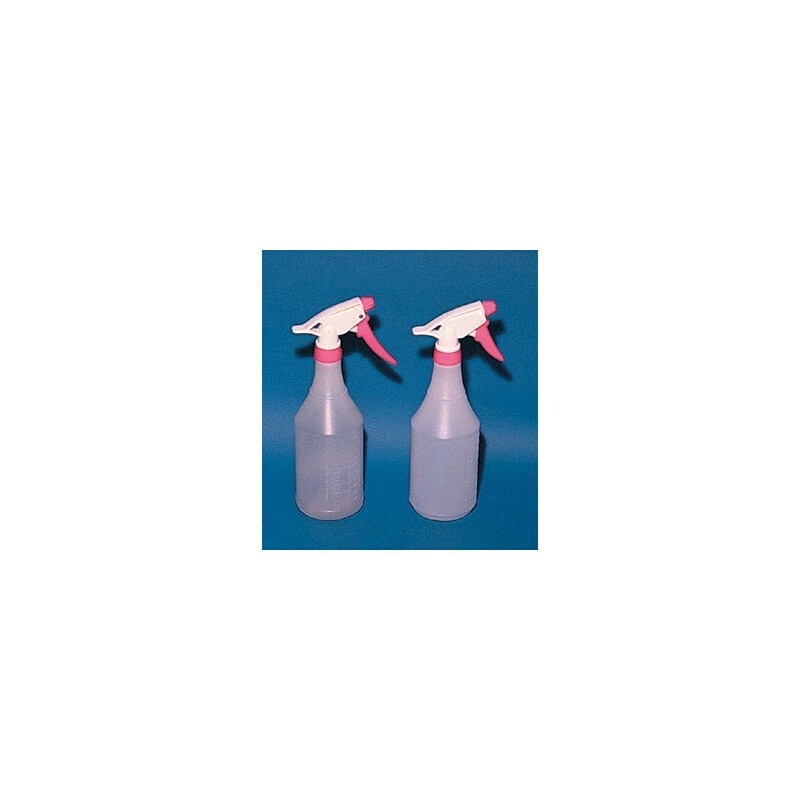 The versatile, all-purpose CON-TROL-CURE® PROSAFE SPRAY BOTTLE is a plastic spray container developed for dispensing solvents, cleaning solutions and other liquids. It features 3 spray patterns for easy application with an adjustable, triggered sprayer that dispenses from a fine mist to a steady stream. The unbreakable construction of the Pro-Safe Sprayer ensures long term use even in harsh shop or plant environments. 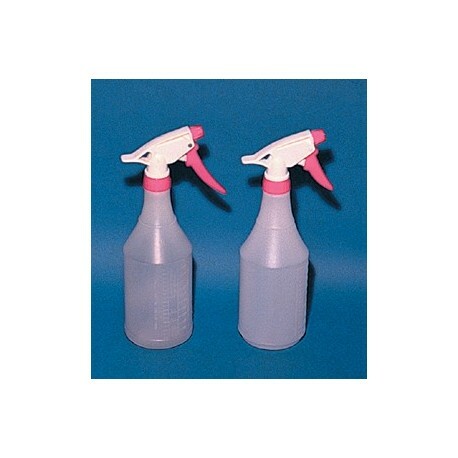 The Pro-Safe's trigger sprayer is constructed with a nylon filter and 7-1/4" dip tube. The translucent round bottle is blow molded of high density polyethylene with 28 mm/400 neck finish. Holds up to 24 fluid oz and features oz and mL measurements for convenient mixing. Useful throughout all plant and office areas. Sold 3/pack.